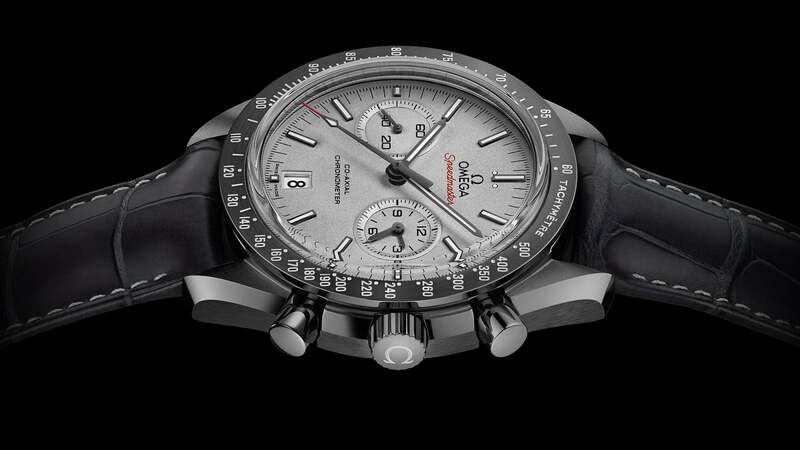 The sand-blasted 950 platinum dial gives the Speedmaster “Grey Side of the Moon” a more elegant and classic look while underscoring the craftsmanship that went into creating the watch. 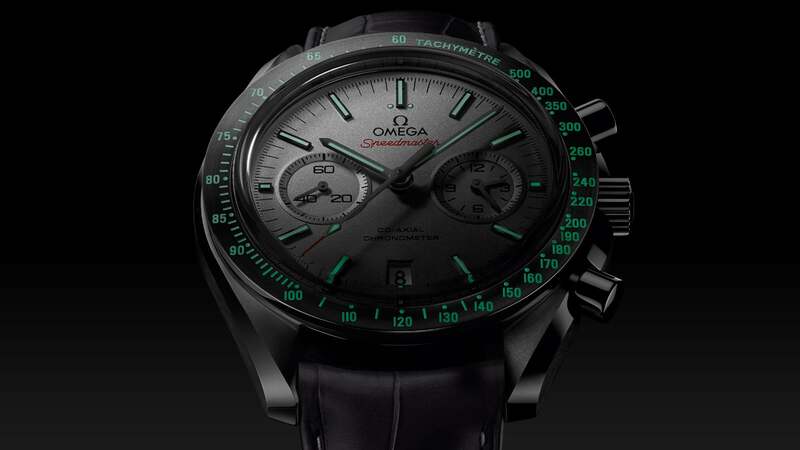 Two integrated platinum sub-dials distinguish the timepiece from its legendary predecessor, OMEGA’s Moonwatch. 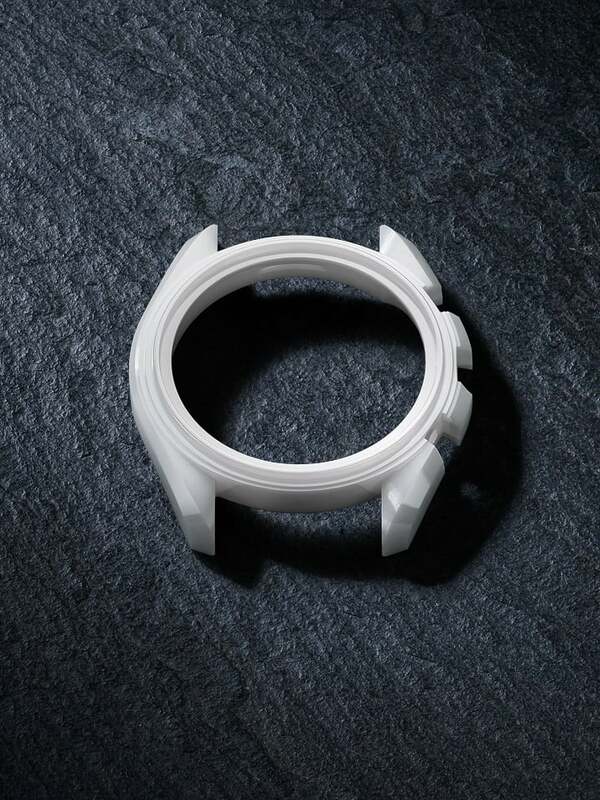 The impressive dial is protected by a box-form scratch-resistant sapphire crystal. 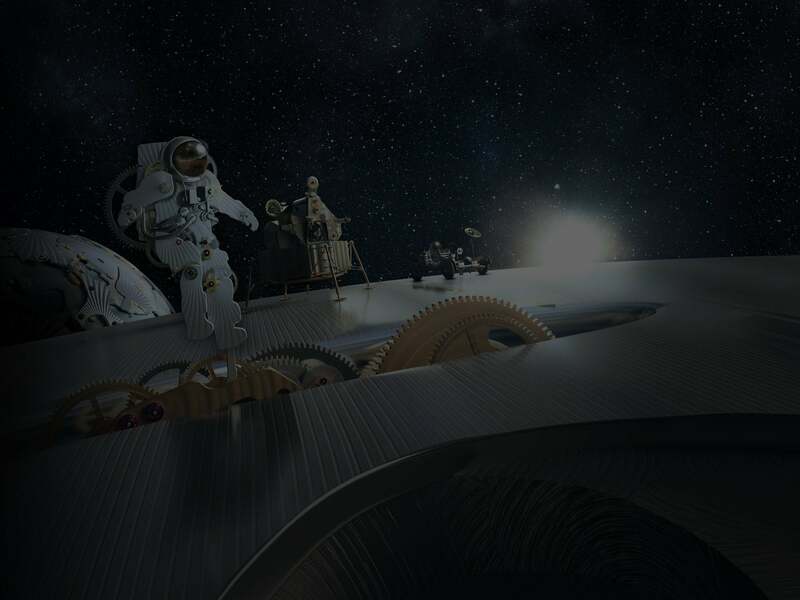 The process behind this striking timepiece is as innovative as the watch itself. 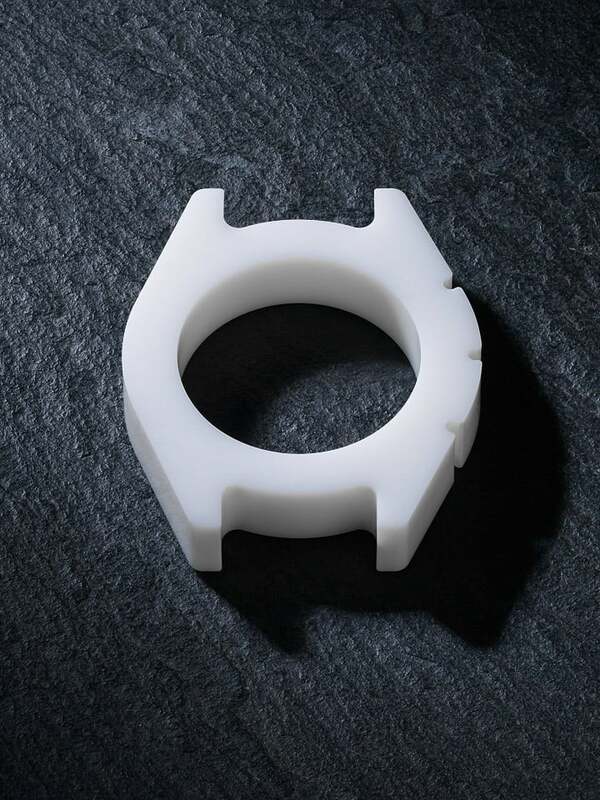 The ceramic from which the Speedmaster “Grey Side of the Moon” is crafted undergoes several important steps in its transformation. 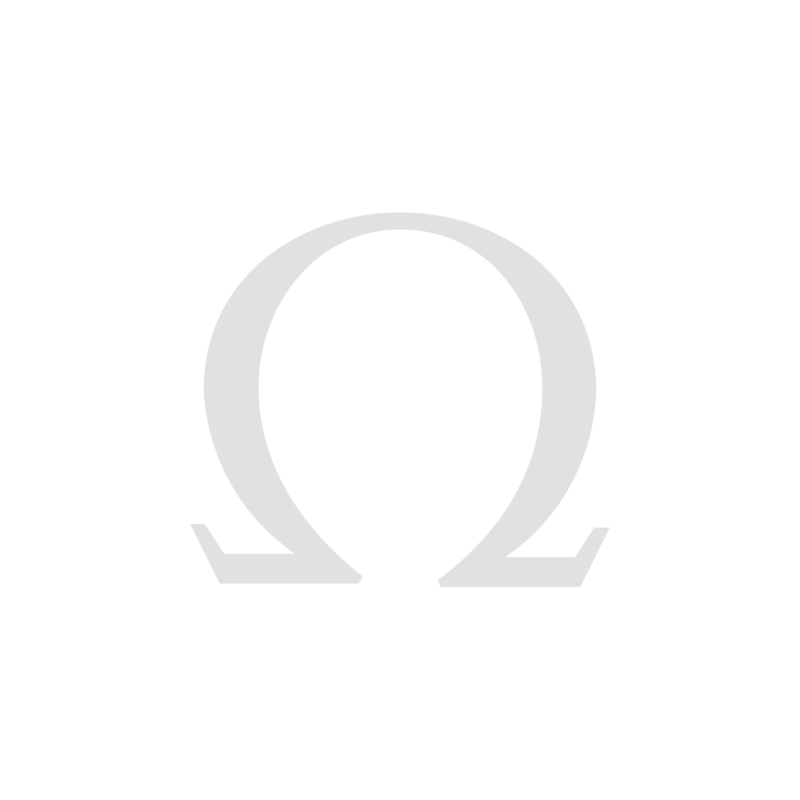 The OMEGA Speedmaster “Grey Side of the Moon” starts out as raw ceramic material that is pressed into the desired shape – an oversize version of the case. 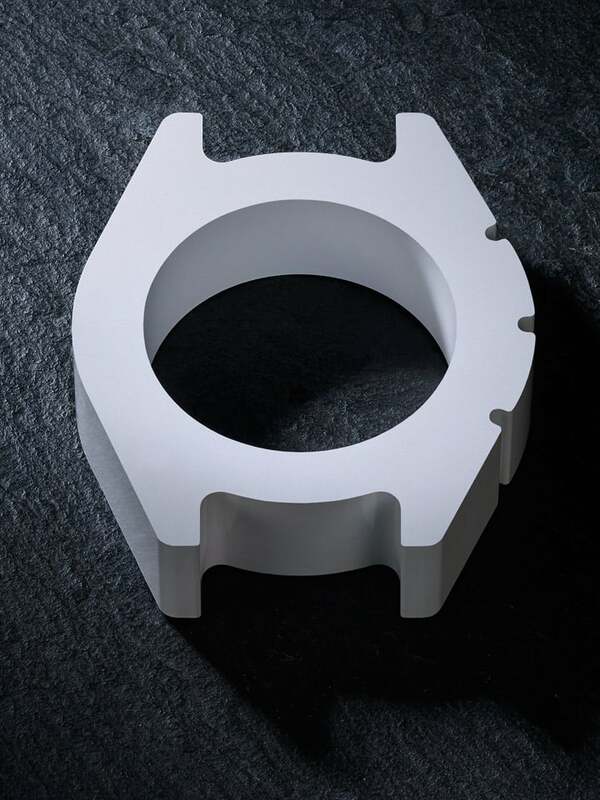 The case of the Speedmaster "Grey Side of the Moon" starts as white ceramic and is machined using diamond tools. The white case is subjected to an unimaginable 20,000 degrees Celsius for three hours in the plasma heating chamber, transforming it to metallic grey-coloured ceramic. 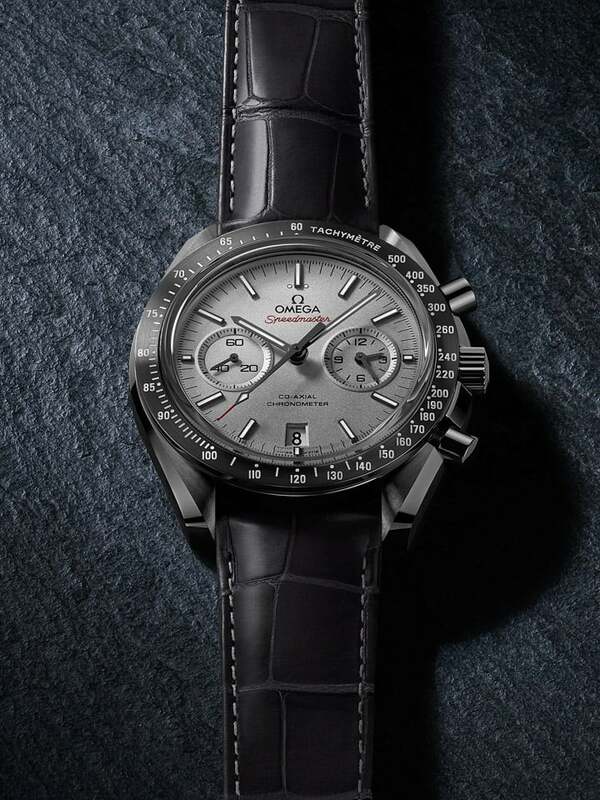 Laser technology is used to engrave the tachymeter on the bezel of the Speedmaster “Grey Side of the Moon”. "...elegant and classic look while underscoring the craftsmanship that went into creating the watch." The tachymetric scale on the brushed ceramic bezel is a striking feature: the numbers and marks on the bezel are engraved and filled with luminescent Super-LumiNova, so the wearer can read the scale almost any lighting conditions. 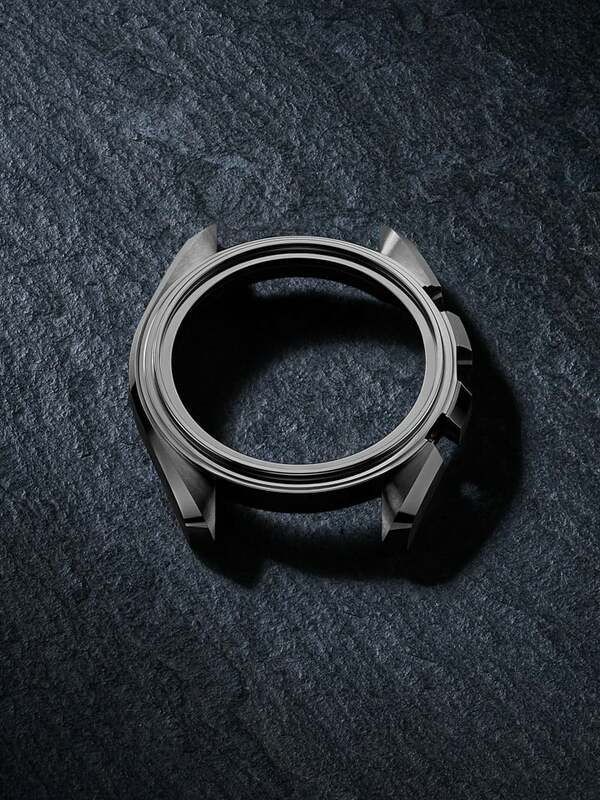 The black central chronograph seconds hand, central hour and minute hands, indexes and two dots at 12 o’clock are coated with white Super-LumiNova. 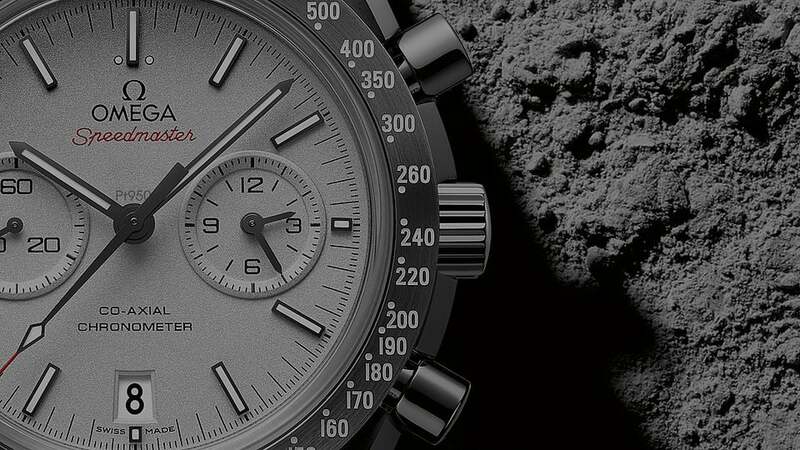 The OMEGA Speedmaster “Grey Side of the Moon” is a fitting tribute to OMEGA’s long, proud role in space exploration. 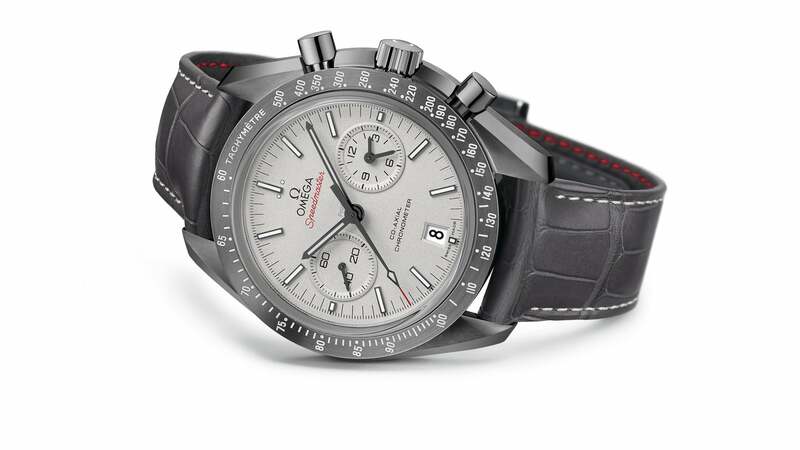 With innovative materials and a revolutionary mechanical movement, it has attracted countless new Speedmaster fans. The red stitching on the underside of this timepiece’s grey leather strap complements the red accents on the OMEGA Co-Axial calibre 9300 at its heart. 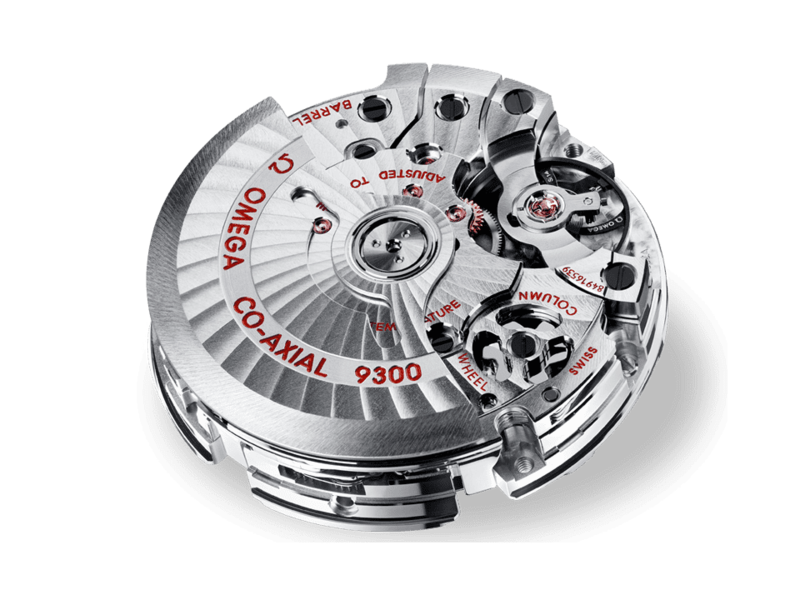 The first of OMEGA’s proprietary movements to incorporate a chronograph function, the OMEGA Co-Axial calibre 9300 is equipped with an Si14 silicon balance spring.